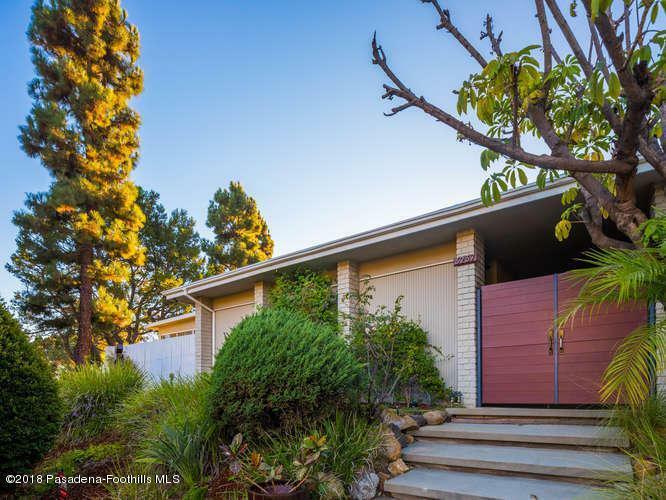 Iconic landmark view home and entertainers backyard!This exquisite 1965 mid-century modern home located among the prestigious Lake Hollywood Estates is a dream come true! Formerly home to Luc Leestemaker, a famous Dutch-American abstract expressionist, the premises includes what was once a beautiful studio that could be transformed into a creative space with your vision. This home is a true live/work. With its breathtaking view of the Hollywood hills and the world famous Hollywood sign, this home's backyard is designed for entertaining with outdoor and porch space with panoramic views of the canyons. 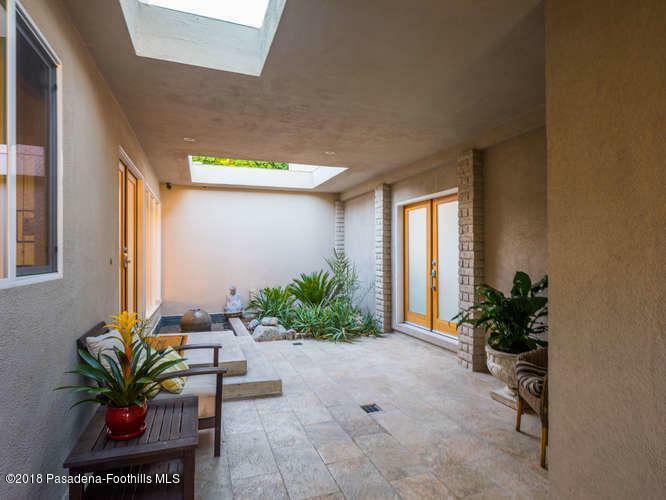 It can also serve as a private oasis given its placement on a corner lot of a cul-de-sac. The kitchen, having been completely remodeled in 2014, is clean, modern and stocked with all of the essentials. Elegant hardwood floors and high ceilings create an open airy magnificent ambiance throughout the home. And, amenities such as closed-circuit cameras, recessed lighting, a gas fireplace in the living room, two master bedrooms, and a loft all add to the uniqueness and functionality of this home. Between the beauty, history, and landmark views, once you see this home it will likely move to the top of your list. 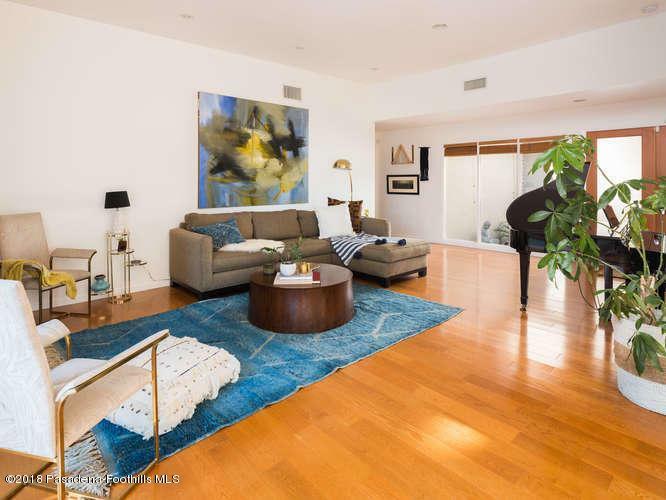 Sold by Edward G. Reilly BRE#02012908 of Keller Williams Realty Los Feliz. 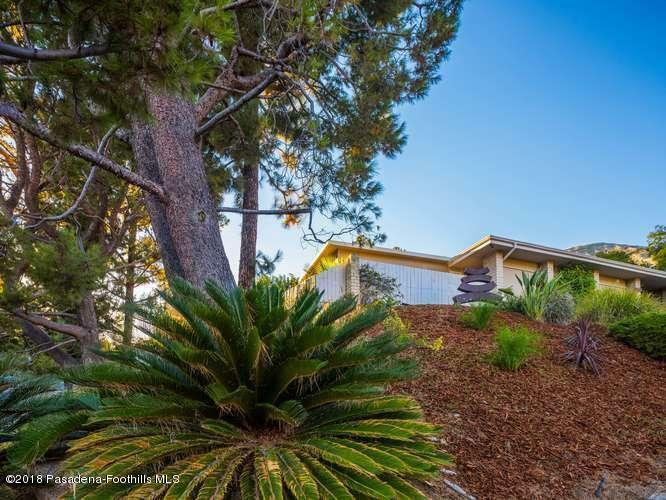 Listing provided courtesy of Donna D'aurio DRE#02012908 of Berkshire Hathaway Homeservices California Properties and Nonmember Agentdefault CA DRE# of .